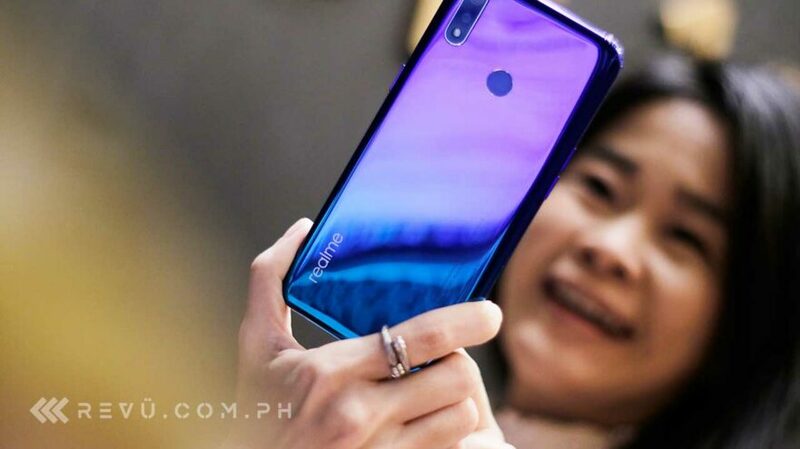 Good news: The Realme 3, which we recently reviewed and found to be one of the best budget options in the Philippines, is headed to physical stores nationwide. In fact, preorders have gone live offline, with the claiming period set from April 6 onward for the 4/64GB variant, while the 3/64GB model will be ready for pickup starting April 13th. Do note that the 3/3GB Realme 3 remains an online exclusive sold on Shopee Philippines. Your only option is the online retailer, if that’s what you’re after. Both the 3/64GB and 4/64GB storage versions of the Realme 3 are available for purchase at retail for P7,990 (about $152) and P9,990 ($190), respectively. But if you buy the phone during the presale event, you’ll receive a gift bundle worth P1,299 ($25). A minimum deposit of P500 ($10) is required. You have two colors to choose from — Radiant Blue and Dynamic Black. To recap, the Realme 3 features a 6.22-inch, 1,520 x 720 LCD screen with a waterdrop notch on the front for the 13-megapixel selfie camera and dual cameras at the back. It also gets a 4,230mAh battery for all-day battery life, with support for 10-watt fast charging thrown in to make your life easier. It runs Color OS 6 on top of Android 9.0 Pie on a MediaTek Helio P60 processor that can handle both serious computing tasks and gaming.